Your website is supposed to bring customers to your business. One of the tested ways to ensure visitor's interest in your website is to incorporate large & beautiful background images on the site pages. 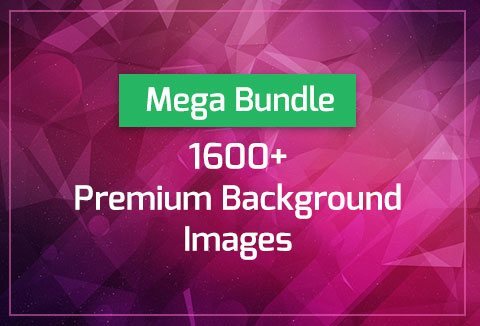 Today, we bring you an impressive mega bundle of 1600+ background images to set the tone of your business. All background images are in high resolution and come with extended license, allowing you to use them for both personal and commercial projects for as many times as you need. The bundle comes with a big variety of backgrounds that will fit to almost any project. They can be used for web design, flyers, posters, prints, cards, apps, presentations or wallpapers. The size of the backgrounds are between 2560x1600px and 6000x4000px and have a 300 dpi.